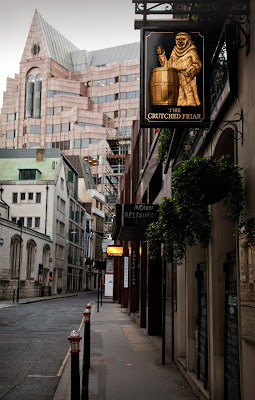 Like most parts of London, if you find a pub or a street with a name like this then there is history associated with the name. 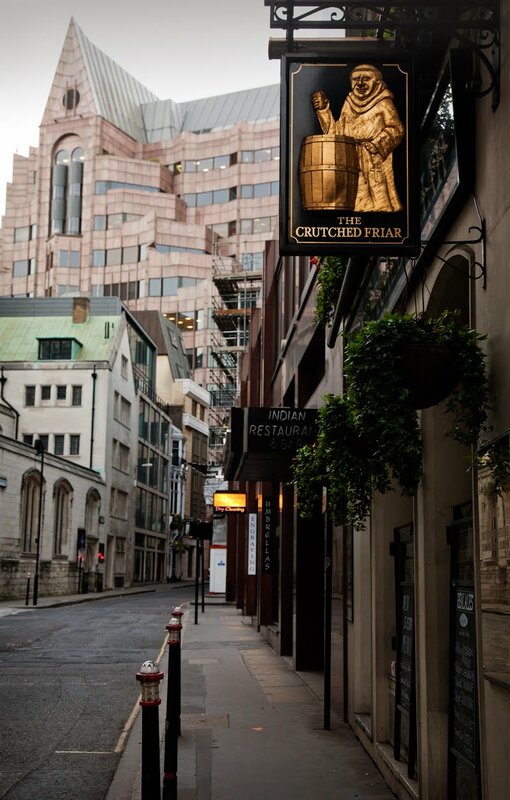 The area near Tower Hill was named after a group of Friars arrived here around 1244. They wore a wooden cross around their neck and had a red fabric cross on their habit. Thus "crutched" an old word for cross. Just reading Bill Bryson's latest book "At Home" in which London's history features quite a lot. Absolutley fascinating. WHen I was a kid I lived on a sheep farm. My father used to crutch the sheep. I suspect that is a different aspect of the word!! I thought of 'sheep' as well! Looks good snuggled down in a old street. I've learned something new again! Thanks. Looks like a quiet little street! Love this shot. It's quintesential Old London. I love these little snippets of history. Thanks again for teaching me something new. Great sign! I'd go in! great shot. also shows why i love that part of London --> such a remarkable mix of the very old and the very new.